Gask House Farm Cottages are a collection of beautifully appointed , self-catering holiday homes set in a stunning part of the Scottish Highlands. They make the perfect retreats for families, couples and friends who are looking for a break away. 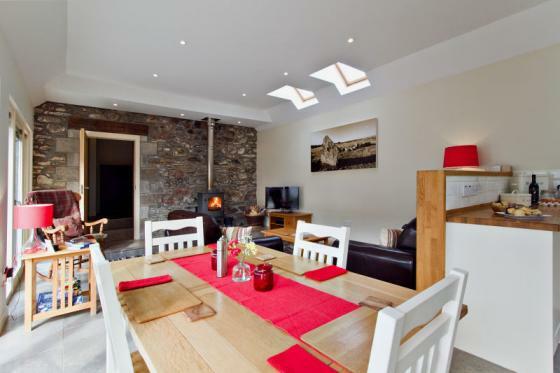 Gask House and its holiday cottages is an impressive barn conversion with two, semi-detached cottages set around a pretty courtyard garden. Both properties have well-equipped kitchens, linen, towels, TV with Freesat, DVD, free Wi-Fi, radio, hairdryer, clothes dryer. Highchair and cot available on request. Outside each property is a dedicated terrace area with seating. On arrival you will find coffee, tea, porridge, milk and half a dozen eggs from the farm's own hens to help you settle in. Clava (1 bedroom with sofa bed in lounge area) and Corrimony (2 bedrooms, 2 bathrooms) are on a single level from the car park area and therefore are more suitable for any less mobile visitors. Pets are welcome in both these holiday cottages at a small additional charge. 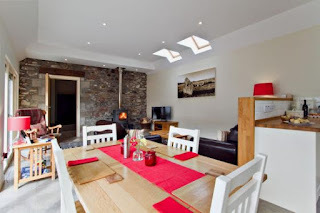 The cottages are ideally situated for golfing, walking, whisky trails, mountain biking and winter sport breaks, not to mention the chance to see Loch Ness, castles and enjoy all the culture of the Highlands. Only fifteen minutes to Castle Stuart, 35 mins to Nairn Championship course and one hour to Royal Dornoch.